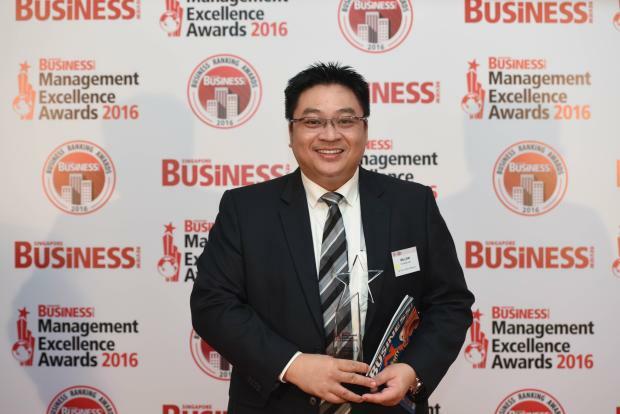 Singapore Business Review honoured nine top business leaders from across several industries in the city-state during its 2nd Management Excellence Awards (MEA) at Shangri-La Hotel held on December 6, 2016. Nominations for MEA were evaluated by an esteemed panel of judges comprising Nexia TS managing director Henry Tan, RHTLaw Taylor Wessing LLP deputy managing partner Azman Jaafar, Mazars managing partner Denis Usher, and Deloitte SEA managing director Jeff Watts. The event, which was attended by over 160 executives, coincides with the magazine's 3rd Business Rankings Awards (BRA), putting into limelight companies that made it to the SBR industry ranking lists. SBR also recognised exceptional young professionals aged 40 and under from across various fields.